bbwithsubs2 from Max Prus on Vimeo. 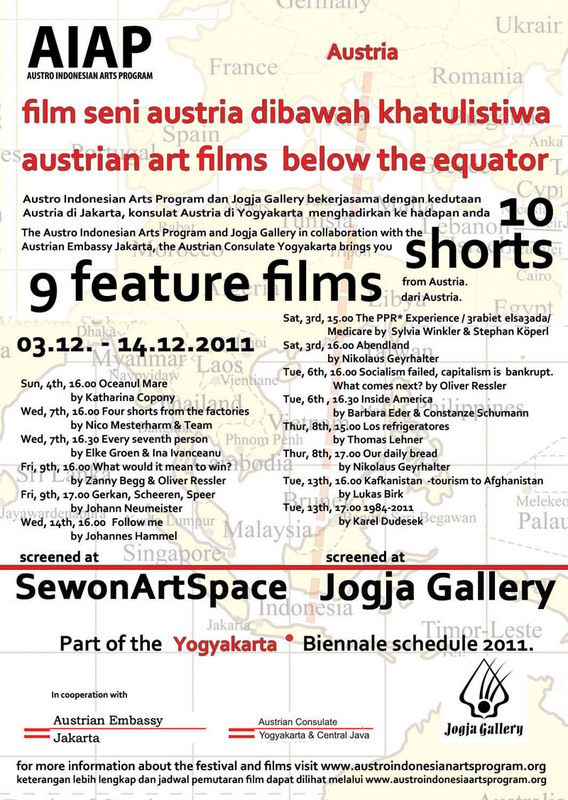 Film Festival with 19 Austrian Art Films screened from the 3/12/-14/12/2011 at Jogja Gallyer and SewonArtSpace, Yogyakarta, Indonesia. Details to the films and directors can be accessed in the artists chapter.